When visiting hospitals, we expect to receive the high quality medical care to treat the ailments we suffer from. Unfortunately, doctors sometimes deviate from legally mandated standards of care and cause catastrophic injuries to patients. 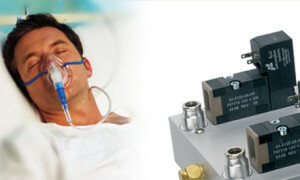 In these situations, patients may be left with long term care needs such as ventilator dependency to help them breath. Many patients may need ventilator assistance 24 hours a day to stay alive. Furthermore, patients may be confined to a long term care facility like a nursing home since they may need round the clock care to monitor their health. A ventilator is a machine that helps patients breathe who would not be able to do so on their own. While on a ventilator, patients are often confined to their bed since these machines are often quite heavy. Spending life on a ventilator comes with its own set of hazards. Patients, especially elderly ones, are at risk for a variety of medical conditions and often suffer from dramatically lower life expectancy. Pneumonia and infectious diseases are just some of the health complications patients may contract. Prolonged exposure to ventilators may produce scar tissue on the patient’s lungs, making it even more difficult for them to breath. Medical malpractice is an error on the doctor’s part when he or she deviates from standards of care that other doctors in similar situations would probably follow. Doctors are often represented by attorneys from their medical malpractice insurance provider and may not be forthcoming with information about how exactly a catastrophic medical error occured. The Cochran Firm, D.C. has a team of in house registered nurses, medical records coordinators, and medical malpractice paralegals. One of our medical malpractice attorneys, Karen E. Evans, is even a registered nurse herself. Our law firm takes medical malpractice lawsuits very seriously and have the experience and resources necessary to prosecute claims. If you or a loved one require a ventilator for breathing support following what you believe to be medical malpractice, contact The Cochran Firm, D.C. for a free consultation about your case. Our attorneys have years of experience holding doctors accountable for their negligent actions and will work hard to make sure you get the compensation you deserve. Call us at 202-682-5800 during business hours or at 1-800-THE FIRM (843-3476) to reach us 24 hours a day.